Kolacky is not the only Czech cuisine one will find at Kolacky Days. On Friday night, one has the opportunity to experience another Czech traditional dish or two in Montgomery. 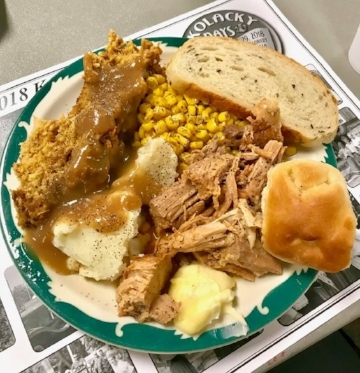 The American Legion Post #79 puts on an Authentic Czech Dinner of Pork and Dumplings. At this Czech Meal, the outgoing Kolacky Queen and her court has one last opportunity to preside over their subjects. One also has an opportunity to meet and greet the candidates that are running to take their place in Kolacky Days history and represent the community of Montgomery as the new Kolacky Days Royalty. Meal tickets are required and need to be purchased in advance. The price per meal is $20.00. For more information, please contact the American Legion Post #79 at (507) 364-7779.